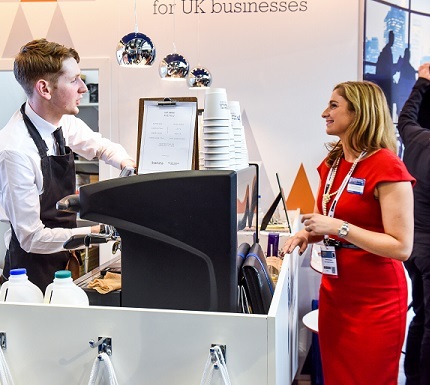 It’s no secret that serving great coffee at an exhibition or trade show is going to help increase footfall to your stand. And at The Barista, great coffee is exactly what we do. But if we said that’s all we do, we would be selling ourselves short. We are of the belief that your exhibition stand partner should provide a service that goes above and beyond, helping to make your next event even better than the last. 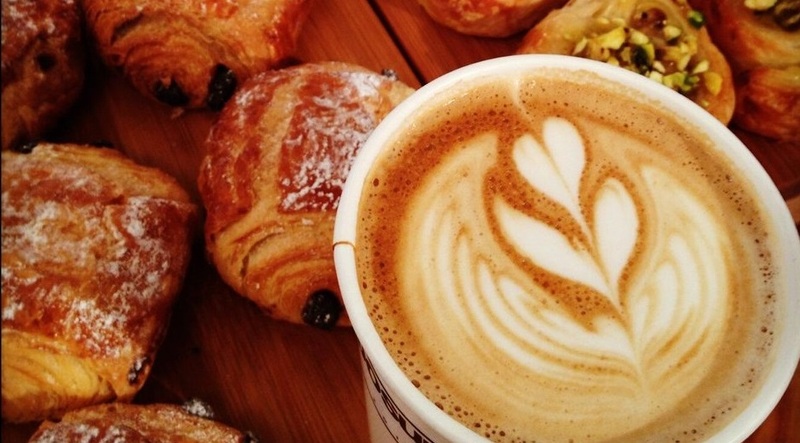 So – delicious beverages aside – what should your mobile coffee partner bring to the table? Serving the best coffee at an event is one thing, but having a friendly face serving it to you completes the whole experience. We understand that at large events prospects may hang back. And that’s where we come in. 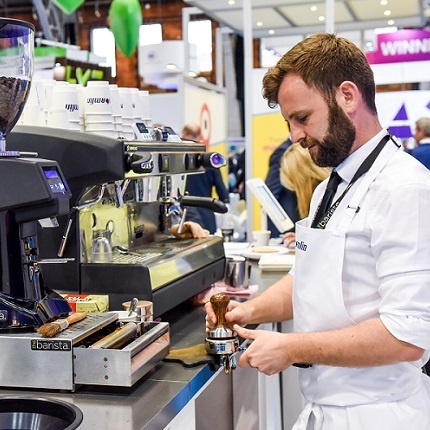 Our team of trained baristas are the welcoming front to your stand, getting the conversation warmed up ready for you to make your introductions. When we attend an event, we’re proud to be representing our client’s brand and take this role incredibly seriously. 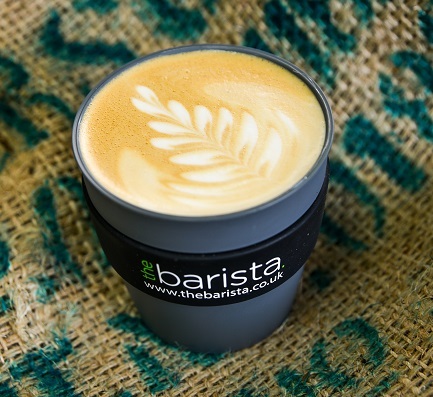 That’s why we maintain the highest level of professionalism, ensuring our baristas are informed about your business and remain polite, engaging and helpful throughout. 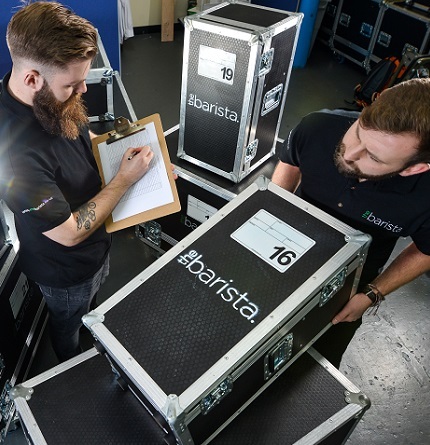 Think having a mobile coffee bar on your stand might be more effort than it’s worth? Think again. We take care of all the logistics and make sure everything runs smoothly for the duration of your event. We won’t bother you with any of the details – we’ll keep the fresh coffee flowing and leave you to get on with what you do best. We’re incredibly proud of our coffee. It’s our own signature blend and it’s designed to reflect the quality of our clients’ brands. Our coffee service is an art form. Latte or mocha, espresso or macchiato – it’s all freshly made to order right in front of your prospects. At The Barista, we don’t just turn up, serve coffee and leave. We’re there to help you make your event a success. We’ll work with you during the run up to tailor everything around your business. We can custom brand everything from the coffee cups to the baristas themselves, ensuring you get as much exposure as possible. Our outstanding service at trade shows and exhibitions is why our clients book us time after time. Find out how we could add to your next event, and get in touch with the team. Want to impress a little more? Want to feed the hordes?